"I am passionate about providing excellent patient care and training the cardiologists of the future." 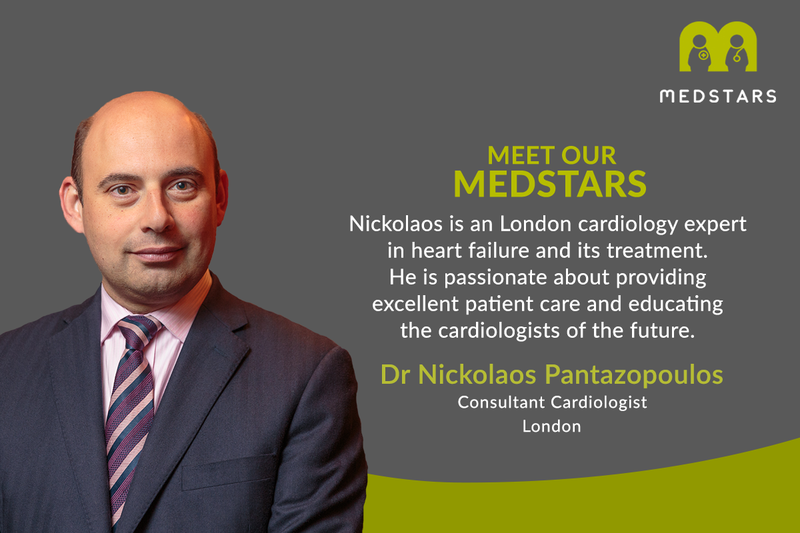 Nickolaos is an London cardiology expert in heart failure and its treatment. He is the director of clinical studies for Imperial College School of Medicine which shows he is committed to self development and education. I graduated in 1994 from the University of Queensland, Australia. I trained as an intern in Brisbane, Australia to build on my foundations in medicine. I also worked as a doctor in the acute emergency air retrieval service in the Greek islands for the Greek Armed Forces. Both my experiences in general medicine and emergency medicine makes me suited to deal with all types of medical scenarios, including emergencies with a systemic approach. I am currently a consultant cardiologist at West Middlesex University Hospital and an honorary consultant cardiologist at Hammersmith Hospital, Imperial Healthcare. I am interested in all aspects of cardiology, and I specialise in cardiac imaging and in heart failure. I am an expert in techniques such as stress echocardiography, transoesophageal echocardiography and cardiac CT angiography. I am a honorary senior lecturer at Imperial College, London with extensive experience in medical education. I am the director of clinical studies for Imperial College School of Medicine at West Middlesex University Hospital. I am actively involved in research with my published work focusing on echocardiographic indices of valve disease and myocardial function.